Type: BARGAINS. Detail: Breutigam, M. Product Code: 3935748086. 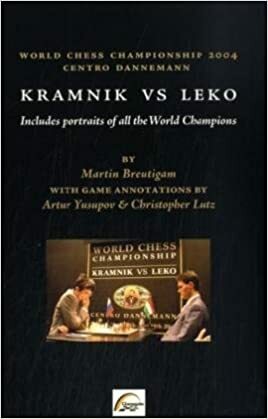 A nicely produced book on the 2004 World Championship match with annotations to all the games by Artur Yusupov and Christopher Lutz. The first part of the book details the previous 13 World Champions with a brief biography and a couple of games from each player. The book is produced on high quality paper with photographs throughout.Published 2004, softback, 170 pages.